EXIT EDEN, the all-female four-piece ensemble featuring Amanda Somerville, Clémentine Delauney, Marina La Torraca and Anna Brunner, has released a video for its cover version of the song "A Question Of Time", originally recorded by DEPECHE MODE. EXIT EDEN unites all attributes ascribed to the new millennium: cosmopolitan, self-confident-independent and ready to do their very own thing. Despite their diversity, the four singers blend together personally as superbly as they do vocally with their very diverse vocal tones and techniques that go from opera style to raspy rock. 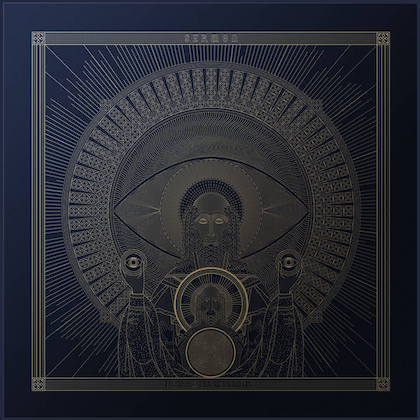 This constellation created extraordinary and powerful ideas and finally became their unique plan to raise EXIT EDEN's very own edge: to show the world that almost every classic song can be transformed into a solid metal-rock song. 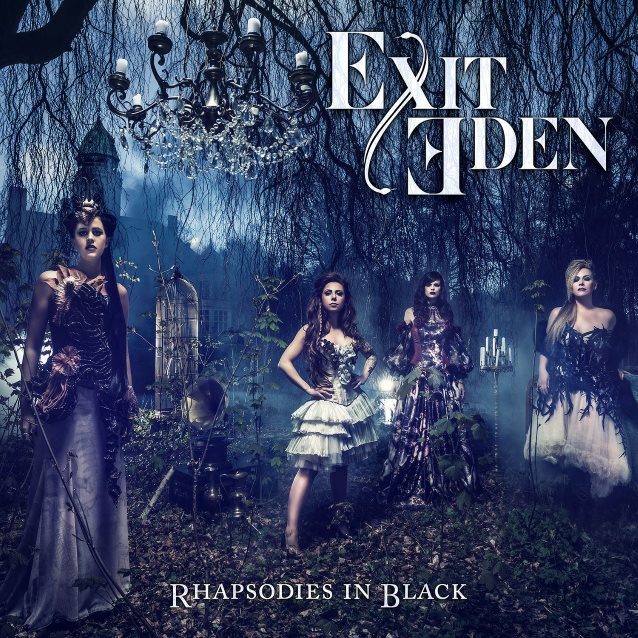 EXIT EDEN's debut, "Rhapsodies In Black", which was released on August 4 via Napalm Records (worldwide excluding Germany, Switzerland and Austria, where it was made available via Starwatch), is home to a colorful mix of international super hits from Rihanna to Madonna, from DEPECHE MODE to Adele, and many more. Still and all, it's miles away from being just a cover album. Marina La Torraca: Hailing from Brazil, Marina was born with rhythm in her blood. As the auspicious frontwoman of several metal bands since the age of 15, her path led her to Europe, where she got to perform with AVANTASIA and to found her up-and-coming band PHANTOM ELITE. Since having studied musical theater in New York, the versatile singer and actress can also be seen internationally in musical productions, including the upcoming German tour of the Broadway hit "Rent". For her, being close to the crowd is what counts — no problem for her and her natural convincing character. Clémentine Delauney: Clémentine was born near Paris 30 years ago. She has been a multi talent since her childhood days — no matter if she was dancing, playing the piano or singing, she enchanted her audience. At the age of 16, she joined her first metal band. She is currently fronting symphonic metal outfit VISIONS OF ATLANTIS and also worked with SERENITY and MELTED SPACE. Another one of her career highlights is her participation on Kai Hansen's (HELLOWEEN, GAMMA RAY) first solo album, released in 2016. Thus, Clémentine has carved her way into being one of the great performers of the scene.